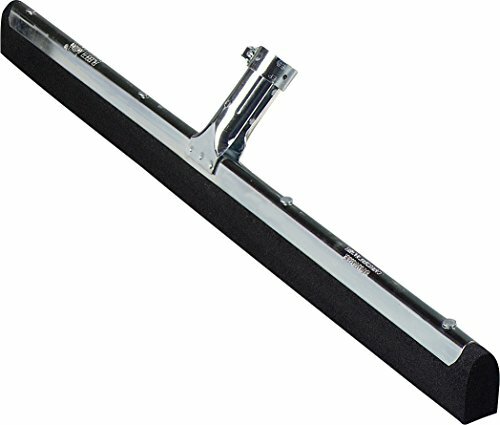 This Carlisle 36632400 black Flo-Pac 22" floor squeegee has a reinforced metal frame for strength and durability. The blade is made of soft foam rubber for absorption and can be used on uneven, grouted, and smooth surface floors. This floor squeegee is recommended for use with the Carlisle 40261 tapered wood handle (not included).